Brooke Lavon Jackson, a 40-year-old black woman, was fatally stabbed on Friday, Oct. 26, in the 4200 block of Carlin Avenue in Lynwood, according to Los Angeles County coroner’s records. Deputies were called to the home where Jackson lived with her husband, Dennis Ray Jackson, 47, and their two children around 8:44 a.m., according to Los Angeles County Sheriff’s Lt. Rodney Moore. Investigators found Jackson in her bedroom with multiple stab wounds, Moore said. She was pronounced dead at the scene at 8:57 a.m., according to coroner’s records. Her husband was found inside his car, which was parked in the driveway, with a gunshot wound to the head, said Det. Marcelo Quintero. He was also pronounced dead at the scene at 8:53 a.m., according to coroner’s records. His death was ruled a suicide. Investigators believe Dennis Jackson locked his wife in her room after he stabbed her and then walked out to the family car and shot himself, Quintero said. The couple’s children, ages 12 and 11, woke up around 8 a.m. confused about where their parents were, Quintero said. They called their adult half-brother, who came to the house, found his father in the car and then forced open the bedroom door to find his stepmother. 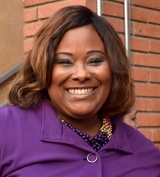 Brooke Jackson was the founding principal of STEM Prep Elementary School, a tuition-free public charter school in the Jefferson Park area of South Los Angeles, according to the school’s website. In her message to parents, she said she had been in education for 18 years. Dennis Jackson also worked for the Los Angeles Unified School District in the maintenance department, Quintero said. The couple had been married for at least 12 years, Quintero said. Members of the STEM Prep school community have started an online fundraising account to create a college fund for the Jacksons' two children. This extremely heartbreaking. Brooke was selfless and so caring, we love you Brooke god bless your babies, in my prayers alway friend till we meet again! — Ana Quintero Jan. 7, 2019 at 12:57 p.m.
— B. Simmons Dec. 18, 2018 at 9:36 a.m.
— T Houston Nov. 11, 2018 at 5:51 p.m. I didn't know her personally but, My sister_in_law told me that the first days of Scholl's my nephew didn't want to go to school and he cried everyday. Mrs Jackson wait for him at the door and took him to his classroom for 4 weeks until my nephew was adapted to School. She grabbed him on her arms always with love and a beautiful smile on her face. She was very sweet and passionate. A Sunshine, an Angel. She will be missed. — Mary Flores Nov. 9, 2018 at 10:30 a.m. I met Brooke at her mom's retirement party and you could tell they had a very special bond beyond parent and daughter. Mrs. Johnson loved Brooke with all her heart and I pray that her memories will put a smile on her face after the grieving has slowed. We love you Mrs. Johnson and God will continue to comfort you. — Barbara Johnson Nov. 8, 2018 at 8:32 p.m.
— Maria Sanchez Nov. 1, 2018 at 10:38 a.m.
Brooke was a compassionate person. Loving and giving. When she came into my life, I knew she was a no nonsense kind of person. She was there to know what each teacher was going to do, to change things at the school. Over time we came to trust her. Brooke was here to make a difference in this world. I am thankful I got to know her and call her my friend. I am thankful I will continue her legacy in my classrooms and throughout my life. She cared for me, my students and our community. She will be greatly missed. — Kathy Mora Oct. 31, 2018 at 10:40 a.m. I knew Ms. Jackson for a brief time she was the priciple of my kids school she was full of life and joy I am really hurt she is gone this is a true lost for our school, community and to anyone that knew her. — Alisa Mcgruder Oct. 29, 2018 at 6:50 p.m.